Six years ago on April 22 Munir Ahmad Khan, Chairman of the Pakistan Atomic Energy Commission for nearly two decades (1972 - 1991) died. He remained unsung but the events of the past few years have vindicated him, even though full vindication is yet to come. Prime Minister Zulfikar Ali Bhutto recalled him to Pakistan from the International Atomic Energy Agency where he worked for thirteen years and made him Chairman of the PAEC Pakistan Atomic Energy Commission in 1972. 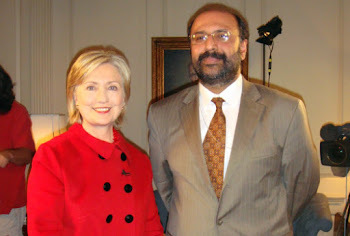 If Bhutto was like Nehru in India in having a nuclear dream, Munir Khan was like Dr. Bhabha, who helped shape the political vision of Nehru for nearly two decades of his stewardship of the Indian Atomic Energy Commission. As Chairman PAEC Munir Khan created a team which gave Pakistan the mastery of complete nuclear fuel cycle, carried out cold nuclear tests in 1983, and built the tunnels in the Chaghai Mountains of Balochistan for tests 15 years later that were to formally declare to the world the country's nuclear status. He conceived and planned the Kahuta plant, completed the necessary ground work for it, and built the production plant of uranium gas, the critical feed for Kahuta, through indigenous effort. The uranium production capability saved the nuclear programme when Canada unilaterally terminated supply of fuel for the Canadian built Karachi Nuclear Power Plant (KANUPP). He also laid the groundwork for the 300 MW nuclear power plant at Chashma. He also started the building of an indigenous power reactor, that was reported to be complete and operational after his death. Apart from strategic nuclear infrastructure he also built a dozen nuclear medical centres and several nuclear agricultural centres throughout the country. He also set up training centres, which have since produced thousands of highly trained nuclear scientists and engineers, during the past quarter of a century, and made the nuclear programme self reliant -- one of his crowning achievements. The most noteworthy among such centres is the Centre for Nuclear Studies that made the nuclear programme self propelling and independent -- when he died Pakistan did not have to look elsewhere for trained manpower. The Centre has since become a full-fledged University producing hundreds of trained scientists annually in state of the art nuclear technologies. Munir Khan shunned cheap popularity and believed that the advertising the Commission's achievements was not in national interest. The boos and jeers of detractors could not provoke him into flaunting his achievements. He too could have sought a shortcut to name, fame and fortune through self projection but he resisted the temptation. As he wrote in a newspaper article in June 1994, no matter what you say about atomic energy, "you are bound to have front page converge almost effortlessly", but he refrained because, "somebody else will pay the bill while you will harvest public attention." Newspaper headlines quoting political and scientific figures claiming that Pakistan had joined the rank of world nuclear powers irked him. He was opposed to nuclear rhetoric for personal ends and self-glorification. He distrusted those who brandished modest nuclear capability to create and sustain a feeling of invincibility. He would often give the example of Israel that was a de facto nuclear weapon state with a delivery system but no scientist, general or politician had exploited it for personal or political gain. "No serving or retired government official in India has yet made a revelation about its nuclear capability and from who and how it acquired the nuclear capability. Why must we say, what we are doing?" he asked in another article. He knew some in Pakistan were doing so. "The martial law government needed props and stilts to stand tall and legitimate. It decided to use Islam and newly acquired nuclear capability. Who could defeat the combination of faith and high technology? You had the best of the two worlds", he once wrote in a newspaper. Munir Khan called it 'milking the nuclear cow' and "putting a political foot in the nuclear mouth". He cautioned political leaders thus: "Highly experienced public leaders are not expected to transgress certain limits beyond which national interests are compromised." When deafening silence and ridicule greeted his pleas for sanity, Munir Khan warned, "Sometimes populist politics can damage the best interests of the country even though they may appear to advance the interests of individuals or parties in the short run", reminding us that the thoughtless advertisement of our nuclear capability in the past had resulted in the application of the Pressler amendment. Arguing that the Pressler law had gravely undermined our economic development and defence preparedness he warned, "We can ill afford to invite similar embargoes again." This earned him the wrath of his powerful detractors who hounded him. One bizarre incident showing how he was hounded revolves around the publication in the early 80's of a book "Islamic Bomb" by some foreign publisher. It detailed Pakistan's clandestine efforts to make the bomb and made several mentions in a positive way of Munir Ahmad Khan and also of A. Q. Khan. It was in the bookstores for some time but just when cold nuclear tests had been conducted and Munir Khan was calling for nuclear restraint, army generals, bureaucrats, government leaders and leading scientists were surprised to receive free copies of the book by post. Why would a foreign publisher want to freely distribute the book in Pakistan? It soon turned out that in the new edition all positive references to Munir Ahmad Khan had been deleted and replaced with derogatory comments. For instance a reference to Munir Khan as "a patriot and a man who would do anything and everything to bring atomic power and atomic weapons to his homeland", in the original edition, read "Mr. Munir Khan is not a patriot, he would do anything to keep atomic weapons away from Pakistan", in the revised edition. This is just one example. There were several other such references in the new edition, not found in the original version. The publisher was flabbergasted, disowned the new edition which he said was fake and demanded an inquiry. The scandal was brought to the attention of President Ghulam Ishaq Khan as well. The President was aware of the Byzantine intrigues and it seems that he also knew who were behind it. But he did not order an inquiry. 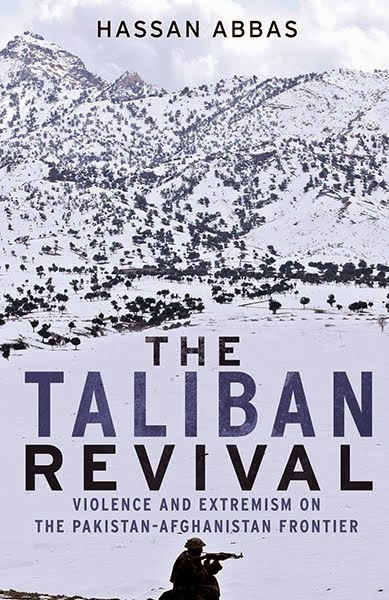 Who published the fictitious version thus remains a mystery, like the mystery of the fire the Ojhri camp ammunition depot in Rawalpindi, 1988, or the mystery of the Mujahideen climbing the Kargil heights a decade later. Eleven years ago on April 29, 1994 Munir Khan had cautioned, "We must understand that nuclear weapons are not a play thing to be banded publicly. They have to be treated with respect and responsibility." He then sounded a warning that seems prophetic, "While they can destroy the enemy, they can also invite self destruction." By "bandying nuclear weapons as playthings" some of us claimed to destroy the enemy. The enemy is not destroyed, but by our irresponsibility in the nuclear bazaar, we have "invited self destruction". Truly Munir A. Khan was the nuclear sage of our time. He also believed that the ultimate control of the nuclear programme and its command must rest in the hands of civilian institutions. He had studied the command and control structures of other countries and knew the dangers to national security when such controls slipped out of civilian hands. But a serpent of doubt always lurked in his heart. When under the military rule of General Musharraf the control of the nuclear establishments finally slipped from the civilian to the Strategic Plans Division (SPD) and the demise of civilian control was formally sealed, I could not help feeling that the serpent had bit the soul. On his sixth death anniversary, as I recall the hopes and fears of this nuclear sage, I also pray with trepidation that his warnings about the dangers resulting from the demise of civilian control do not prove half as true as his warning about "inviting self destruction". There are times when one prays even for the sages to be proved wrong. I never imagined that on his death anniversary I would be secretly nurturing this prayer.